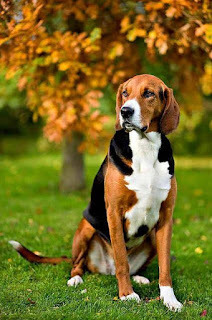 Smaland Hound is the oldest scent hound and it belongs to Sweden. 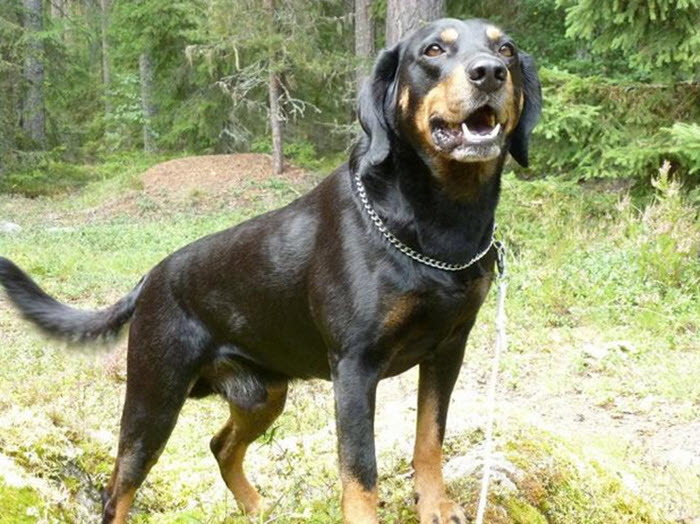 It is also the shortest Swedish hound breeds. This breed is known for hunting fox and hare. Apart from being a valiant hunter it makes excellent watch dog and bold guard dog. The breed will catch attention wherever it goes because of its incredibly friendly behavior and gestures. It adores kids and relish times spent with them. The Hound Småland (Smålandsstövare) is a breed of dog that originated in Sweden in the 16th century. Thought to be the oldest scent dog breed native to Sweden, was recognized by the Kennel Club of Sweden in 1921. 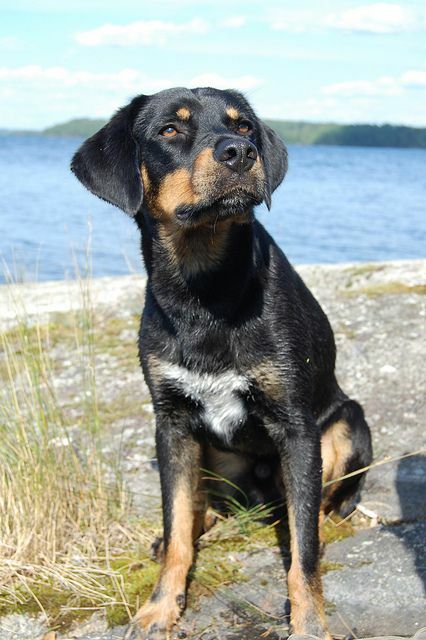 They are the smallest of the Swedish dog breeds, and have black markings and tan similar to Rottweiler. Internationally, it is recognized by a number of kennel clubs and registries, including the FCI and United Kennel Club. It is considered rare, even in his native Sweden, where only around sixty puppies are registered each year. 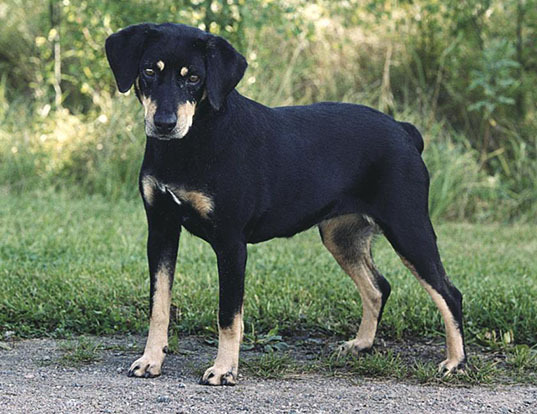 Coloration: Black and tan, with or without small white markings on the chest and toes. The Smålandsstövare has a storied past dating back to the 1600s when hounds similar to present day Smålandsstövares were bred to European hounds from Poland, Germany and Baltic regions. These European hounds were brought in to Småland, Sweden after the Great Wars between 1611 and 1718. The resulting dogs from these breedings were then bred to local spitz-type farm dogs to create the foundation stock for the Smålandsstövare. The Smålandsstövare was used to mainly hunt hare and fox but he was also used to hunt other small game. Since the breed was developed mostly by farmers who did not have large kennels full of hunting dogs, the Smålandsstövare needed to be able to hunt alone rather than in a pack. He developed into an all around hunting dog. 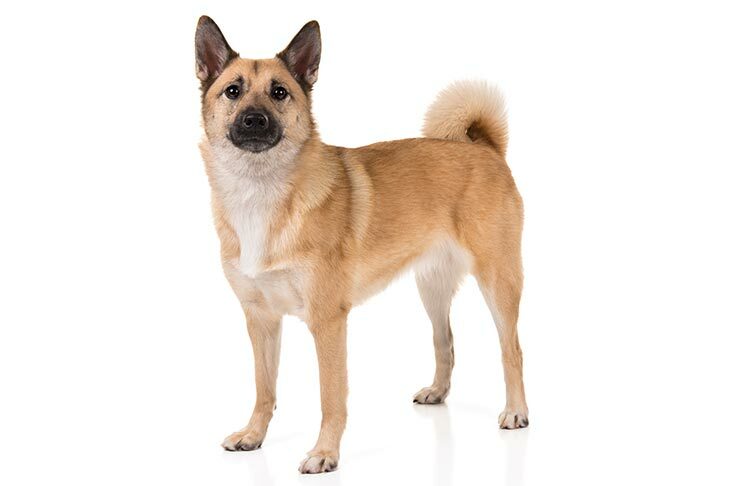 The breed became virtually extinct in the 20th century but breed enthusiasts fought to restore the breed and his first official standard was adopted by the Swedish Kennel Club in 1921. The number of purebred Smålandsstövares still remained small so breeders began adding dogs of similar appearance and stature in the 1950s. These similar dogs were of unknown ancestry and did strengthen the bloodline and the overall appearance of the Smålandsstövare. The Swedish breed club for the Smålandsstövare began commissioning genetic testing on a large sample between 1994 and 2008. The findings showed no specific genetic health issues that were unique to the breed and deemed this breed to be very healthy. The Smålandsstövare is a still a rare breed but he is recognized by the American Rare Breed Association (ARBA), Continental Kennel Club (CKC), Federation Cynologique Internationale (FCI) and the United Kennel Club (UKC). The UKC recognized the Smålandsstövare in 2006 as the Smaland Hound. A popular Swedish hunting dog, members of the breed can form strong attachments to their master; but are also seen as household pets due to their gentle and protective nature.In hunting, they are used to drive the quarry for the hunter.They are a highly intelligent breed, and require a high level of exercise. They therefore are not best suited to living in a small apartment. Smålandsstövare are wary of strangers and can be territorial, but this can also make a Smålandsstövare a good watchdog.Participation in field trials for Smålandsstövares are becoming increasingly common.They remain active up until around twelve years old. 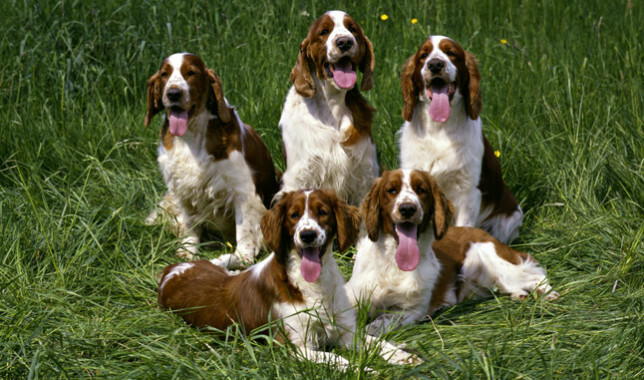 The Swedish breed club for the Smålandsstövare commissioned genetic tests on a number of dogs between 1994 and 2008. The tests showed that there were no specific health issues unique to the breed, nor any major generic issues. 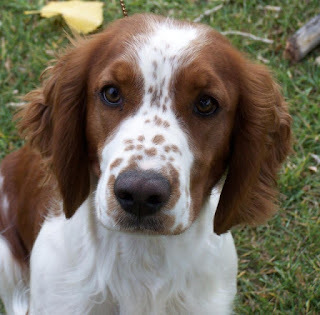 They recommended that where rare health issues present themselves, that the dog involved should not be bred from in order to prevent that health issue from spreading through the breed. They have an average life expectancy of twelve to fifteen years. Because the Smålandsstövare has a dense undercoat, he will shed seasonally. Regular weekly brushing is ideal to ensure his coat stays shiny and healthy. Use a slicker brush or a hound mitt. When he is shedding seasonally, expect to brush him daily to keep loose hairs from accumulating around the house or on your clothes. A deshedder can be used when he is shedding heavily. He is not a hypoallergenic dog but does not generally have a strong dog smell. The Smålandsstövare does not need many baths unless he has found a mud puddle to play in. Expect to bathe him when he begins shedding to hasten the process. Use a mild shampoo when bathing and try to keep water from getting into his ears. Ears that hang naturally are more prone to ear infections and excess moisture, such as from a bath, can cause an infection to develop. Carefully clean and dry his ears weekly. The Smålandsstövare can be trained basic tricks relatively easily since this dog stands out for inquisitive nature and keen mind. Being a typical hound its character also has certain stubborn streak and occasionally it disagrees with the trainer’s opinion and completely ignores his commands. That’s why it’s important to disregard such moods of your pet and keep training sessions sort and fun. Remember that this dog can be quickly distracted by some interesting smell so even its favourite treats won’t be able to return its interest back to the lesson. In general, the optimal strategy in the work with this breed is based on using exclusively positive reinforcement. The Smaland Hound is a very vigorous and cheerful dog that has be provided with plentiful of daily playtime in a securely enclosed area. Of course the perfect type of exercise for this breed will be chasing a prey in the wilderness but it will be absolutely happy to participate in any outdoor activities with its human family. The Smaland Hound easily endures very challenging physical exercises and can tirelessly run beside your bike for several hours. Remember that the dog that has to pass all time doing nothing will soon find its own methods to entertain itself and they surely won’t please its masters. It is a low maintenance dog. It sheds moderately. You need to brush its coat once a week to keep it mats and debris free. Bath the dog only when required. Its ears are of floppy shape so it has high chance of getting affected by dirt. Clean its ear regularly with vet approved solution. Trim its nail if you hear clicking sound on the floor. Do not forget to brush its teeth in order maintain a healthy teeth and gums. 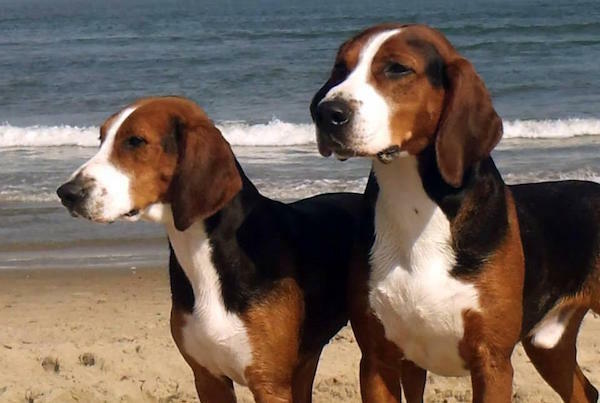 The Hamilton Hound (the Hamiltonstövare or the Swedish Foxhound) is one of the most numerous breeds in Sweden although is remains very rare in other countries except for Great Britain where it becomes more and more popular as a show and working dog. It is an elegant, gentle and even-tempered hunting breed. 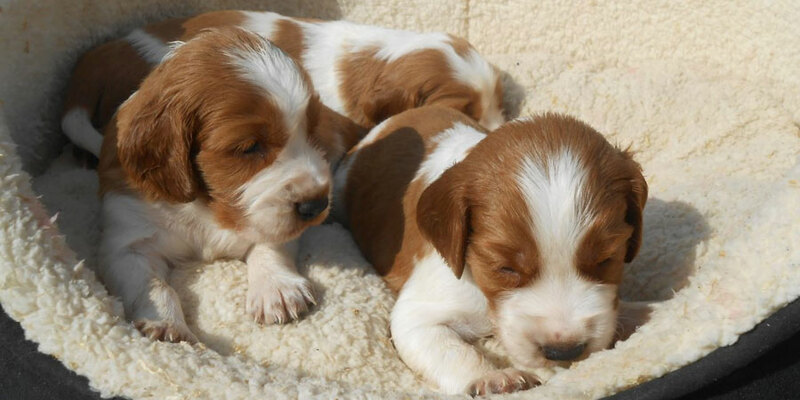 The Hamilton Hound will be a great companion for a family with children and an excellent pack hunter for tracking and flushing the small game. Rectangular, well proportioned, giving impression of great strength and stamina. Tricoloured. Coat appearance: Undercoat short, close and soft, especially thick during winter. Upper coat strongly weather resistant lying close to body. The Hamiltonstövare is a breed of dog, bred as a hunting hound. 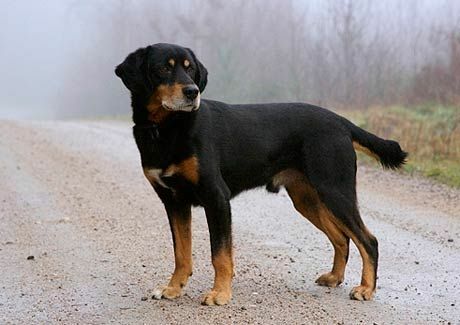 The breed was developed in Sweden by the founder of the Swedish Kennel Club, Count Adolf Hamilton. 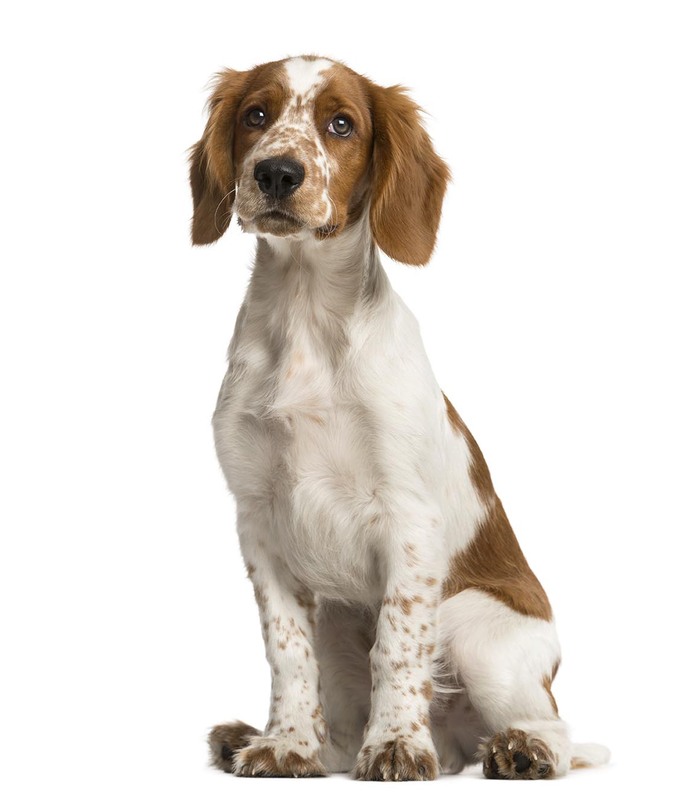 Its ancestry includes several German hounds as well as English Foxhounds and Harriers. The Hamilton Hound originated in was created in Sweden in the late XIX century by Adolf Patrick Hamilton, who also was among the founders of the Swedish Kennel Club. 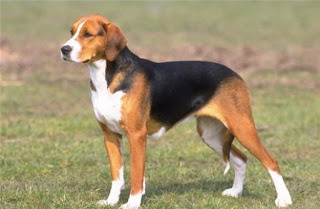 Count Hamilton crossed different German Beagles with English Foxhounds and now extinct German hounds . This experiment resulted the breed that was named in honor of its creator – the Hamiltonstövare. Although the similar hounds existed in Sweden already in the Middle Ages, the first breed member was shown only in 1886. The Hamilton Hound was used for hunting the small game and vermin. It was also good in tracking and retrieving and was able to work in a very rough terrain and severe climate. Today, the Hamilton Hound is still very rare outside Scandinavia and Great Britain where it is widely used as a companion animal and for hunting. This breed is currently recognized by the Kennel Club (England) and FCI. A typical hound in temperament—sweet and friendly to all—the Hamiltonstövare is also a hardworking hunter. It is happy to be with its family, but it is also happy to be out hunting. The Hamiltonstövare is its "own hound," and although it is friendly and gregarious, it naturally defers to doing what it wants rather than what might be requested of it. It takes enthusiasm and praise to persuade the Hamiltonstovare to comply with its owner's requests, but it'll do it if it's inspired. When it comes to the health of this dog, he is susceptible to conditions such as hip dysplasia and epilepsy. Nonetheless, his chances of contracting these conditions are very low. He is full of health generally. The Hamiltonstovare is easy to maintain. He requires at least weekly brushing with a slicker brush or a natural bristle brush. A hound mitt can also be used. Weekly brushing keeps any dead hairs from collecting on carpets, furniture or clothing. Since the Hamiltonstovare loves to play outside, he can have a dog smell. However, constant bathing can cause dry skin so he should be bathed a maximum of once a month using a mild dog shampoo. Trim his nails as needed, generally every two to three weeks. Most hounds do better with a nail grinder rather than nail clippers as they do not like the sound of the nail clippers. His ears should be checked weekly for dirt or moisture to keep infection at bay. A routine dental plan should be put in place. His teeth should be brushed weekly using dog safe toothpaste. A yearly deep cleaning should also be scheduled. The Hamilton Hound is an intelligent, docile and obedient dog that is willing to learn and is quite easy to train. However, this breed is also independent, can be stubborn and without proper training methods there won’t be any success. Obedience training is very important for this breed, as it prefers to do what it likes rather than what it is asked for. If your dog trusts and respects you it will learn quickly all the basic commands. 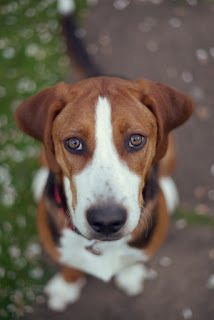 The sensitive Hamilton Hound needs to be trained only with positive methods like treats, reward and praise. With a competent trainer this dog will be able to learn and perform almost any task or a trick. Socialization must start from the very young age as in case with any other dog. 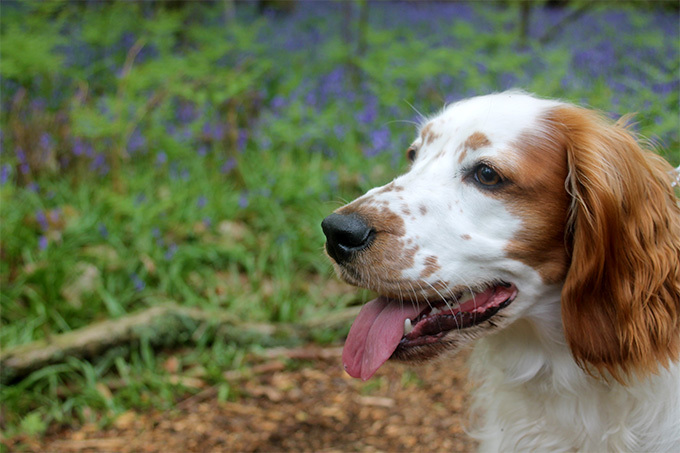 The Hamilton Hound is a very energetic breed with a great stamina that needs to be exercised a lot and daily. 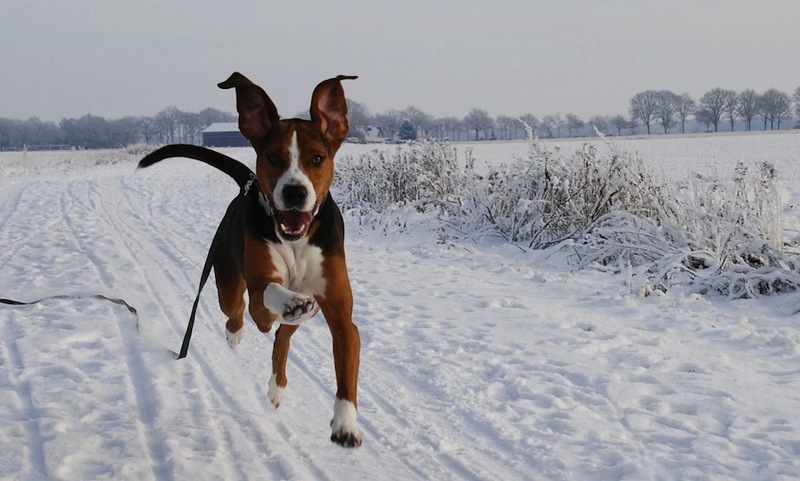 Your dog will need both physical and mental stimulation. A long, brisk walk on a leash every day is a must. This breed makes an excellent jogging and cycling companion. The Hamilton Hound loves to hunt, run and play. But you can let your dog off the leash only in a fully secured area as if it starts following the scent it can run away and never come back. This breed is definitely suited only for an individual or a family with an active lifestyle. It also needs a lot of space to run , therefore the Hamilton Hound is not for an apartment living. The Hamiltonstövare boasts having a double coat which consists of a soft, dense undercoat and a harsher, extremely weather resistant topcoat and their undercoat tends to grow a lot thicker during the colder winter months than the rest of the year. However, these handsome dogs are low maintenance on the grooming front and only really need to be brushed on a weekly basis to remove dead and loose hair. Wiping a dog's coat over with a chamois leather helps keep a nice sheen on it too. Hamiltons are known to love people and they thrive in a family environment. They are gentle characters by nature and in particular when they are around children. However, they can be a little boisterous which means they are not the best choice for families where the children are still young and any interaction between toddlers and a dog should always be well supervised by an adult to make sure things stay calm and nobody gets knocked over, albeit by accident. Having been bred to work with other dogs, the Hamilton is known to be good around them more especially if they have been properly socialised from a young enough age. If they have grown up with a family cat in a household, they usually get on well together. However, a Hamilton would think nothing of chasing any other cats they come across. Because of their strong hunting instincts, care has to be taken when a Hamilton is anywhere near smaller animals and pets because they may well see them as prey so any contact is best avoided. 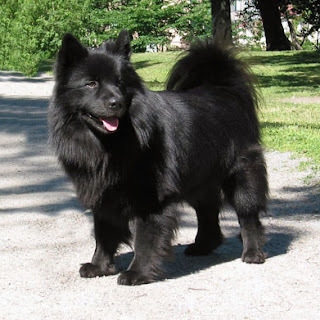 The Swedish Lapphund is a breed of dog of the Spitz type from Sweden, one of three Lapphund breeds developed from a type of dog used by the Sami people for herding and guarding their reindeer. The expression "the black beauty of Norrland" is very often attributed to the Swedish lapphund, which is most likely one of Sweden's oldest breeds. 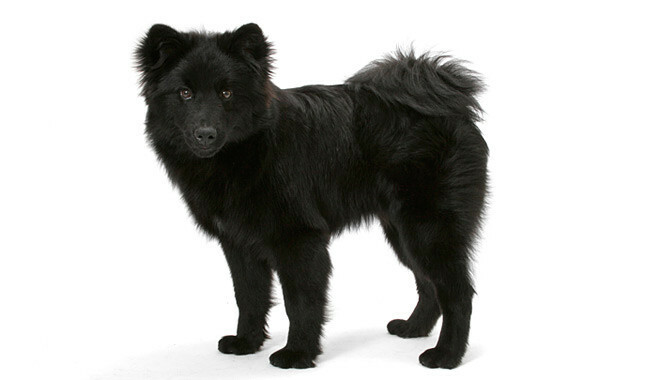 The Swedish name of the breed is Svensk lapphund. A typical spitz type dog of slightly less than medium size, with proud head carriage, and a weather resistant coat. The body is compact and slightly longer than tall. The chest is deep to the elbow, and there is prominent forechest. The ribcage is long and oval, with well developed last ribs. The back is level, strong, muscular and springy. The loin is short and broad. The croup is proportionally long, broad and slightly sloping. The belly is slightly tucked up. The breed is very receptive and willing to work, and its abilities as a guard and herder made it very useful in the reindeer trade. They are lively, alert, kind and affectionate, easy to train and suitable for many different endeavors such as obedience, agility, herding and tracking. There are approximately 1,200 Swedish Lapphunds in the world, most of which live in Sweden. Others are located in Finland, Norway, England, Denmark, The Netherlands, France, Germany, Belgium, Austria, Switzerland, Slovenia, Russia, and Australia. Only a few live in the United States. The Lappie used to use his bark to scare off predators and alert reindeer to his presence. Although he doesn’t encounter many wolves or do much herding these days, he retains his tendency to bark. The Swedish lapphund has its origins among the ancient hunting tribes of northern Scandinavia, from the land that the Sámi people call Sapmi. In Sámi mythology it is said that the lapphund sought the post of worker amongst the Sámi people in exchange that it would always be well-treated. The lapphund has been used mainly for hunting and guarding. When the Sámi people started to keep domestic reindeer in the mid-18th century, the lapphund's repertoire was expanded to include herding. Hard work in the barren landscape of northern Scandinavia has created a very resilient breed. The shifting climate demands a weatherproof coat that is easy to maintain. The rough terrain and the varied work demand a dog with endurance, agility, intelligence and independence. The resulting Swedish lapphund is a well-rounded working dog, well suited both for work as a farm, hunting, and herding dog, and as a pet. Typical Swedish Lapphunds are clever, gentle, and biddable dogs. In their native Sweden, they undergo an assessment of their temperament – known as mentalbeskrivning – which has allowed breeders to select dogs with the most desirable behavioural traits, while avoiding more negative ones, and this seems to have been quite a successful approach. The Lapphund is generally tolerant and sociable with other dogs, and may accept cats if the two are raised together. Likewise, it is fond of children, but it is vital that this working breed is afforded plenty of exercise, as it can otherwise become excessively boisterous, especially when playing. The Lapphund has no tendency to be aggressive, but is aloof with strangers, and will respond to their approach with loud, enthusiastic barking. 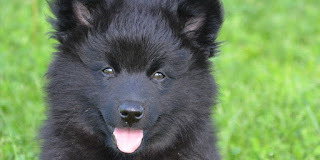 Although the Swedish Lapphund is thought to be a relatively healthy breed, diabetes mellitus and progressive retinal atrophy are a few of the medical conditions that have been identified in the breed.And because they are so rare, popularity and overbreeding have yet to take a major toll on their health, it is advisable to ask the breeders about incidence of hip dysplasia and eye problems, since those are common in many different breeds. Trim the nails as needed, usually every few weeks. Brush the teeth frequently with a vet-approved pet toothpaste for good overall health and fresh breath. Check the ears weekly for dirt, redness, or a bad odor that could indicate an infection. If the ears look dirty, wipe them out with a cotton ball dampened with a gentle, pH-balanced ear cleaner recommended by your veterinarian. Start grooming your Lappie at an early age so he learns to accept it willingly.Brush the coat weekly to keep it clean and remove dead hair. 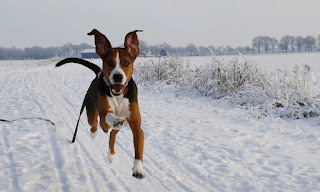 It is dog resistant to bad weather, which likes to live outdoors, in a colder climate with a loving and active family. It likes exercise, long walks and feels the need to burn its energy. It doesn't run away from its master. It needs socialization and training. 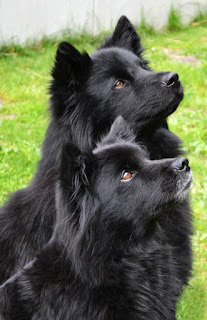 Controlling this tendency to bark is perhaps the greatest challenge in training a Swedish Lapphund, for it is otherwise a dog that learns quickly and responds well to praise and positive reinforcement. Teaching a “silent” command is a really useful technique to curtail any nuisance barking, but it requires patience and rigorous consistency in training. The other approach to managing this vocalisation is thorough socialisation, introducing the Lapphund to as many new people as possible during its formative months as a pup. While this will never completely eliminate this noisy instinctive behaviour, it is likely to make it a less frequent and persistent annoyance. Naturally active little dogs, they should always be encouraged to remain so. They need to be taken on a daily walk. The Lappie has a thick double coat that forms a ruff around the neck and is longer on the back of the legs and the tail. Brush the coat weekly to keep it clean and remove dead hair. During spring and fall shedding seasons, daily brushing will help keep excess hair under control. The rest is basic care. Trim the nails as needed, usually every few weeks. Brush the teeth frequently with a vet-approved pet toothpaste for good overall health and fresh breath. Check the ears weekly for dirt, redness, or a bad odor that could indicate an infection. If the ears look dirty, wipe them out with a cotton ball dampened with a gentle, pH-balanced ear cleaner recommended by your veterinarian. Start grooming your Lappie at an early age so he learns to accept it willingly. Swedish Lapphunds are known to be very good around children thanks to their gentle, placid natures. However, any interaction between toddlers and a dog should always be well supervised by an adult to make sure playtime does not get too boisterous which could end up with someone being knocked over and hurt, especially when dogs are still young. When dogs have been well socialised from a young enough age, they generally get on well with other dogs they meet and if they have grown up with a family cat in a household, they usually get on well together. However, a Lapp might decide to chase off any other cats they encounter in their travels. Care should be taken when they are around any smaller animals and pets just to be on the safe side. The Lapphund comes from the far north and is intolerant of heat. Keep him indoors on hot or humid days. The Swedish Lapphund is the national breed of Sweden and was the first dog registered by the Swedish Kennel Club. 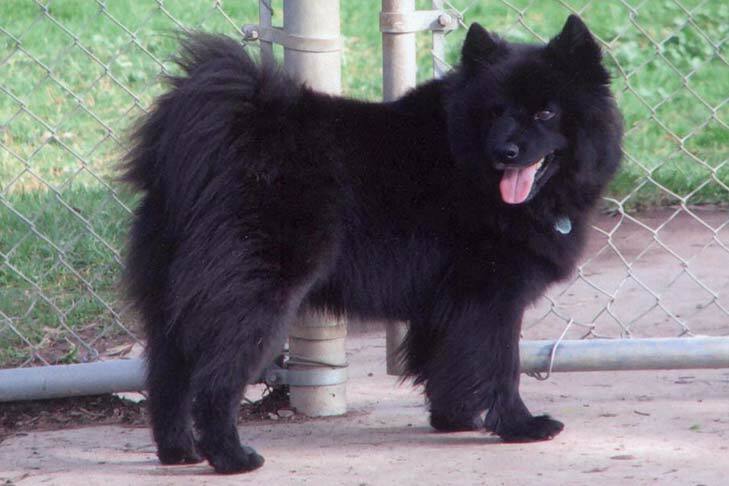 The Swedish Lapphund was added to the Foundation Stock Service program in 2007. 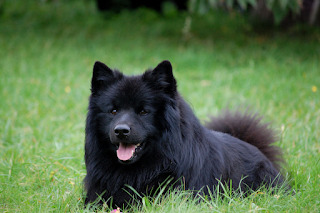 The Swedish Lapphund has been approved to compete in AKC Companion events since January 1, 2010. The Swedish Lapphund has been assigned the Herding Group designation. The Swedish Lapphund is an ancient breed, in existence for thousands of years. It is a natural breed believed to be a descendent of the ancient artic wolf. 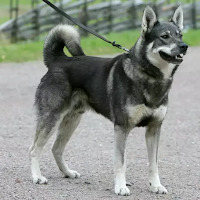 Also known as the Jämthund and Moosehound, the Swedish Elkhound has a wolf-like appearance with a long tapered snout and a dark gray-and-white body. In fact, this breed of dog was developed to hunt moose so they may share more than just their looks with wild wolves. 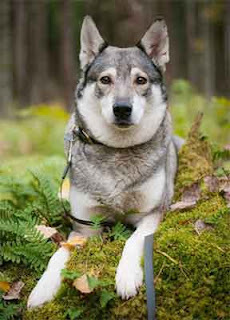 The Swedish Elkhound is an active and intelligent breed that requires a lot of exercise and attention but, if you are able to dedicate the time, they are a unique and wonderful breed. 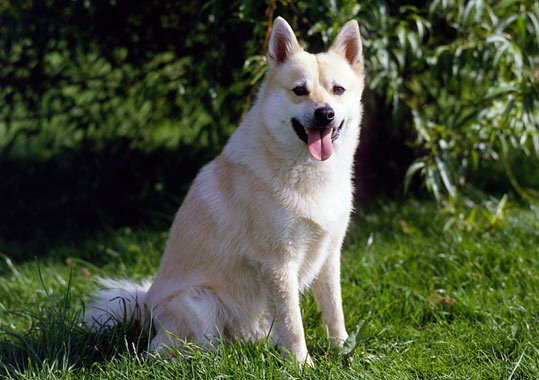 The Swedish Elkhound is a large, rectangular spitz breed, clean cut, strong, substantial and agile. It must not give the impression of having a long body or of being overly heavy in body, as it is a breed known for great endurance. Courageous and energetic, but also stoically calm. As with most breeds developed for hunting, the Swedish Elkhound requires a lot of regular exercise to stay fit, both physically and mentally. It quickly becomes bored if kept indoors for too long and can become destructive. The Jämthund received official recognition as a breed in 1946, due to intensive work by Aksel Lindström and others. 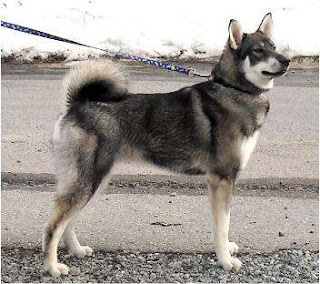 Before that, the Jämthund and the Norwegian Elkhound were seen as the same breed. They are used for moose hunting and sled pulling. In the local dialect, it used to be referred to as bear dog. It is one of very few dogs that will not back off from a bear. The Swedish Elkhound is an intelligent and brave breed of hunting dog. They are hardy and courageous enough to face down a bear but gentle enough to make a wonderful family pet. Although calm and affectionate with its family, the Swedish Elkhound can be slightly dominant with other dogs and has a strong prey drive. A truly all-around canine, it can go from a hunting trip and back to the family hearth with great aplomb. It takes things in stride and doesn't get ruffled easily, making it a steady partner in the field or at home. The Swedish Elkhound is a happy learner who loves to please its owner. It should be socialized early to prevent dominance issues later. 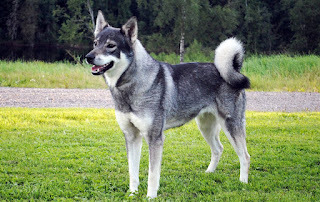 As an ancient breed, the Swedish Elkhound is fairly health and hardy. 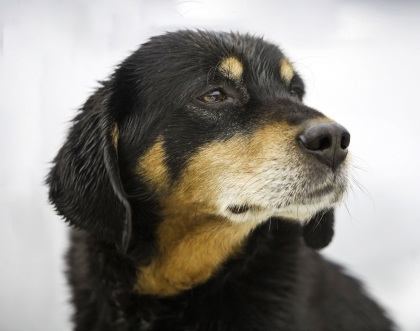 Still, all dogs are prone to developing certain health conditions. Some of the conditions known to affect the Swedish Elkhound include hip dysplasia, skin allergies, elbow dysplasia, liver disease, and hearing problems. This breed is also prone to obesity which can increase the risk for other health problems like diabetes and heart disease. 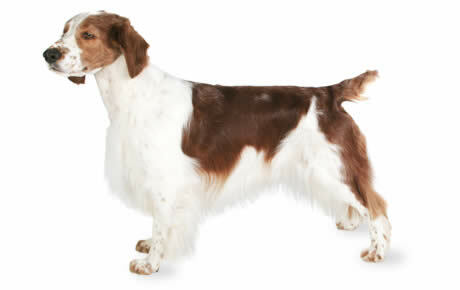 The coat of this breed would need extensive grooming. The longish coat would need to be thoroughly brushed everyday to remove mats and tangles. These are hunting dogs and as such they need to be carefully cleaned and checked for burrs, thorns and foreign bodies on the ears and eyes after the dog has been hunting. The dog should be bathed only when necessary so as not to remove the weather proofing of the coat. Best known for its curious and adventurous behaviour, the Swedish Elkhound is full of character. These dogs thrive on strong and dependable relationships with humans, and they often look to their owner for guidance and support. They are very bright, yet stubborn and overly confident, creating difficulty in training. As a pet, the Swedish Elkhound is loyal, loving, and affectionate, adores its family, loves and tolerates the children. These are probably the reasons why this breed makes wonderful family dogs. 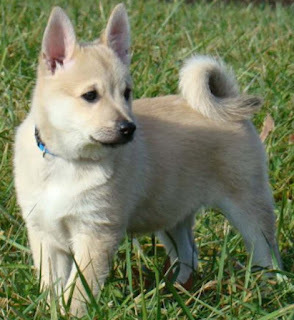 Swedish Elkhound's are active dogs; they would need large spaces to burn their excess energies. For this reason, an apartment or a home in the city would not be a suitable living arrangement for this breed. With the dense weather resistant coat, the dog is well equipped to withstand extreme weather conditions. These dogs would appreciate to be allowed to roam vast open spaces in the rural area. The training of the Swedish Elkhound is a relatively challenging task. Because of its propensity to independent thinking and sharp mind it’s highly advisable to avoid dull or repetitive assignments during training sessions. Nonetheless this dog is always glad to please its master if he demonstrates qualities of a true leader. Consistency and adequately firm treatment are obligatory requirements of the breeds’ successful training. Reward your pet’s obedience with delicious treats and your Swedish Elkhound will readily follow your command. Housebreaking may be difficult for this breed and its puppy should be provided with lots of chances to roam around outdoor. 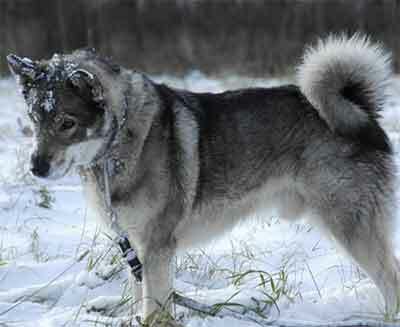 The Swedish Elkhound was developed as an all-around working dog and it still retains much of its industriousness. It won’t make the best four-legged companion for an apartment dweller, which will be off his feet trying to satisfy the dog’s need for exercises. Daily playtime in a safely enclosed area is essential for good mental and physical health of this breed. It also loves having some important job to perform and stands out for unbelievable endurance. Remember that your Swedish Elkhound will inevitably pick up habits to destructiveness and unreasonable barking if you don’t devote enough attention to walking and playing with your pet. There are many benefits to owning a Swedish Elkhound. This active breed is always on the go, and often quite amusing and entertaining to watch while at play. When properly socialized from a young age, the Swedish Elkhound gets along well with small children and other pets, often making friends quickly due to its need to belong to a pack. These dogs are alert and aware of their surroundings, making effective watch dogs by announcing the arrival of guests and unwanted visitors, and serving as a deterrent to would-be intruders. The Swedish Elkhound is loyal, loving, and affectionate, making an excellent hunting dog, family pet, and companion alike. There are also disadvantages to owning a Swedish Elkhound. 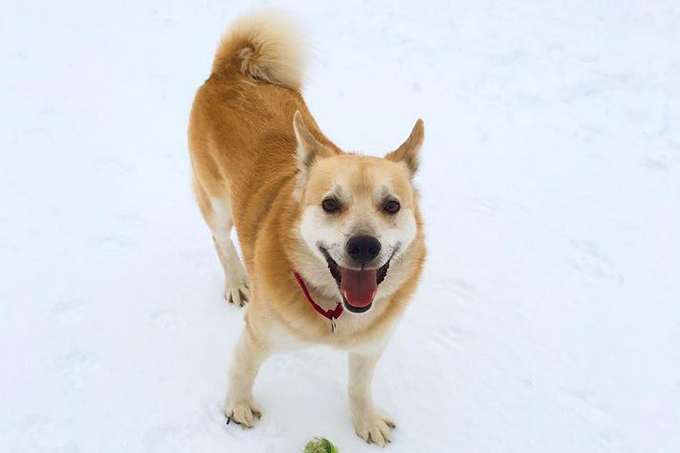 These active and adventurous dogs require large amounts of daily exercise and room to run and play outdoors. Anyone wishing to purchase this breed lacking the adequate amount of time and space to dedicate to the dog is strongly advised against doing so. A Swedish Elkhound not receiving the proper amount of exercise and space will often act out by destroying property, chewing, barking, whining, and ignoring basic training such as housebreaking. The Swedish Elkhound has a strong instinct to hunt and will occasionally indulge in a good chase. When on the run, these dogs are surprisingly quick, and may pose a threat to other animals, neighbourhood pets, and small woodland creatures. The Swedish Elkhound must be leashed or properly secured at all times when outdoors. As previously mentioned the Swedish Elkhound remains rather rare outside of its native Sweden and can prove difficult to obtain. 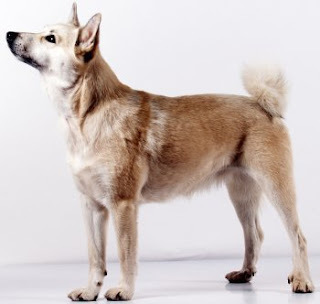 Individuals seeking to purchase this breed often encounter such challenges as inability to locate a breeder, high prices, and being placed on long waiting lists.